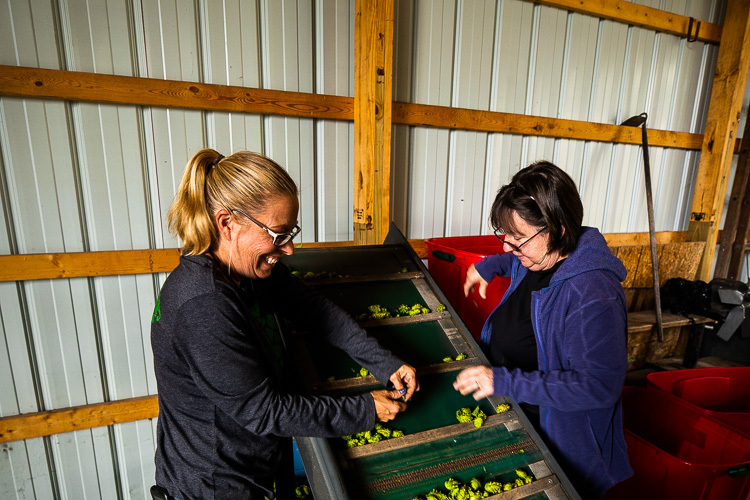 Shannon and Scott Schwabe own Hoppily Ever After Farms. 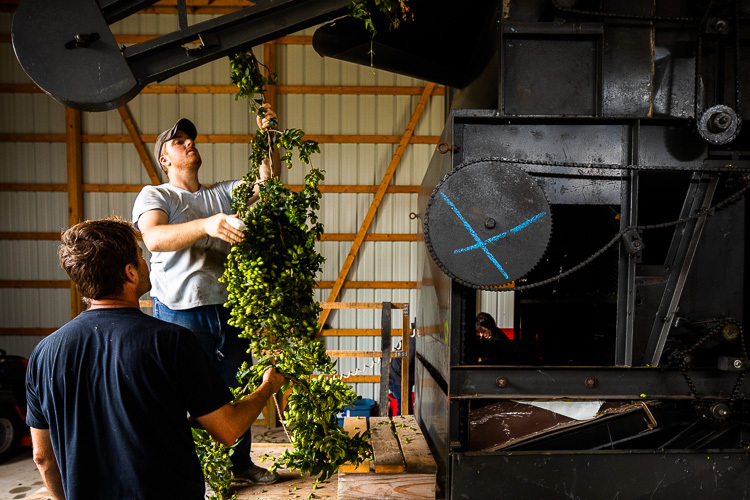 As the heat of summer has given way to the briskness of fall, hop season has come to an end for the year at Hoppily Ever After Farms just outside Marine City. 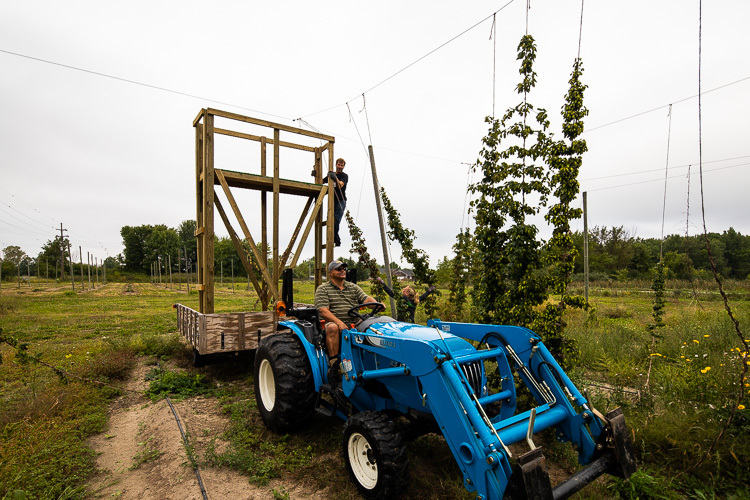 Crews ready to harvest the hopsThe farm is operated by husband and wife team Scott and Shannon Schwabe. 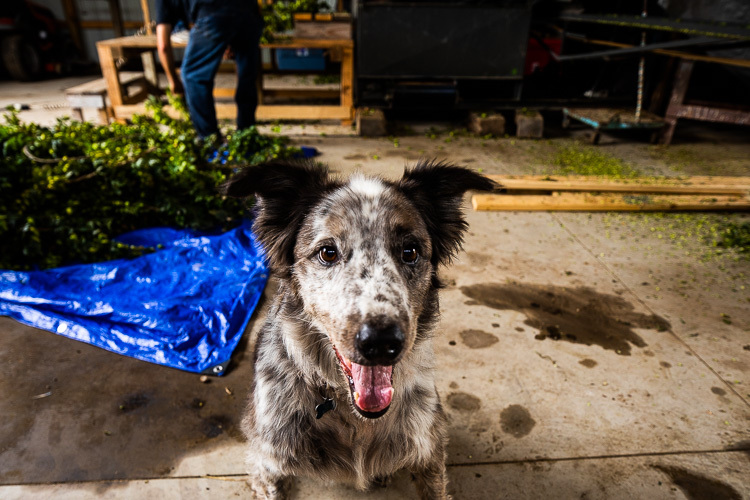 The couple saw a need for craft breweries to get fresh hops, locally. 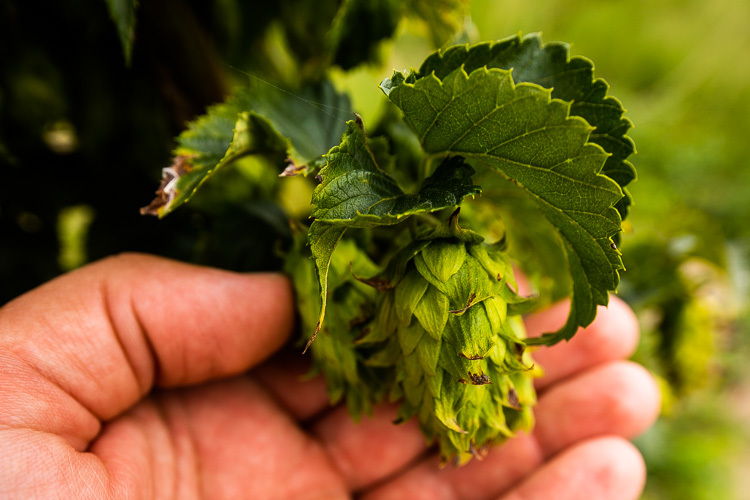 So they invested in the farm with the goal of providing fresh hops to local breweries. 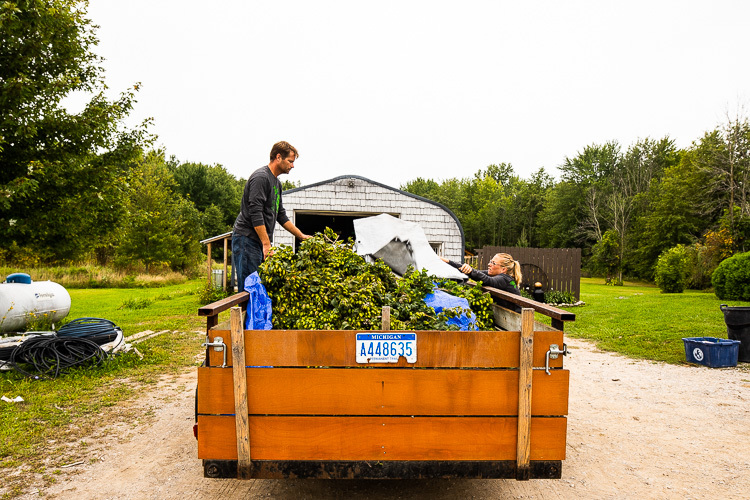 Scott and Shannon Schwabe work with the hops in a trailer.Just two years in, the Schwabes are waiting to see if they'll grow enough hops to do so, but their confidence is increasing with each harvest. "Every year is a new surprise right now," Shannon says. A close look at the hops. They grow four varieties on the three-acre farm: cascade, galena, Mt. Hood and magnum. The farm saw significant growth from year one to year two. The goal is to ultimately harvest about 2,000 pounds per acre. With no farming experience, the couple wasn't sure what to expect, but they were pleased with their second hop harvest. Now that the growing season is over, the crops are dormant and covered on the field. The hard work will begin again in the spring. Preparing to remove the hops from their vines. 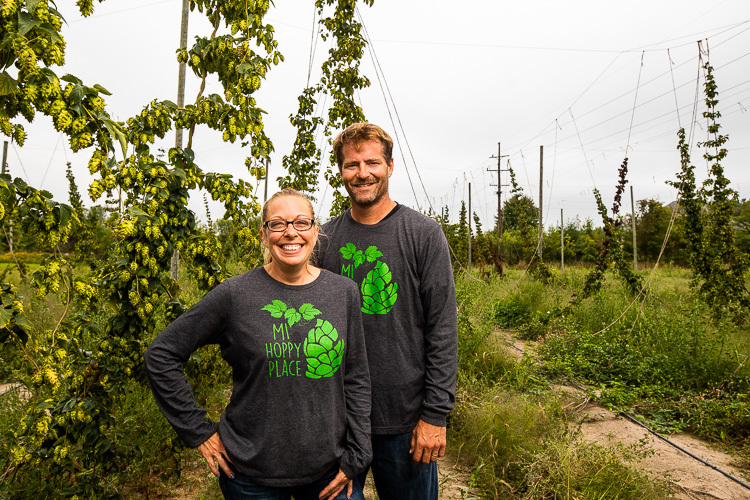 In addition to growing hops, the farm doubles as a wedding venue for couples in St. Clair County and across Michigan. So far, they've hosted a handful of ceremonies, and hope to do more. 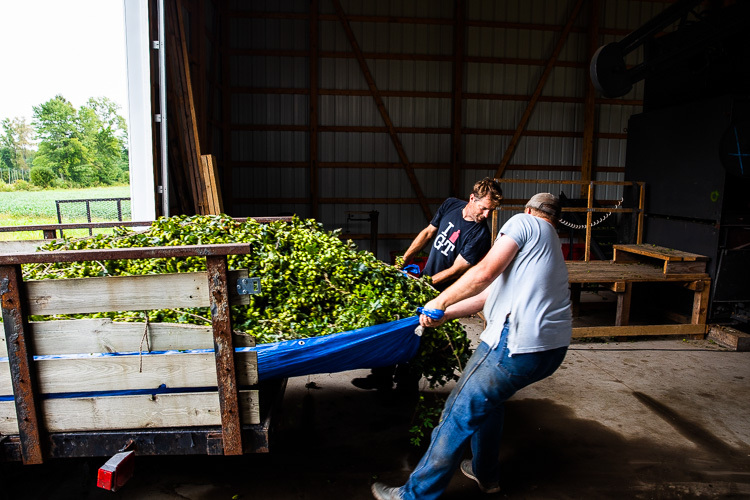 Pulling the hops into the barn. 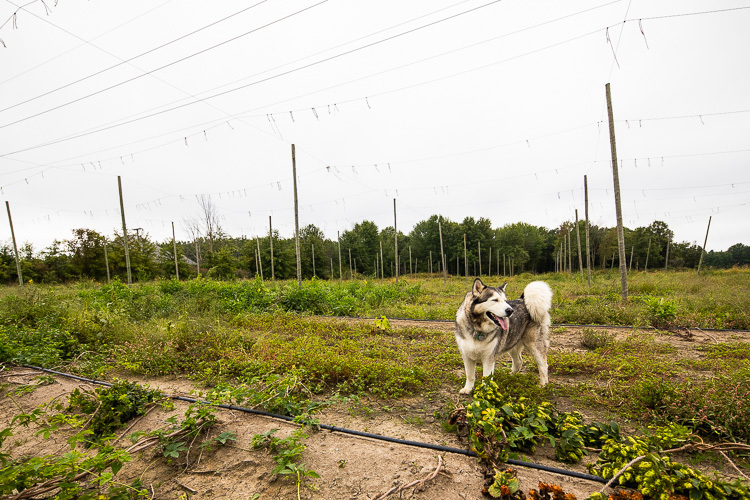 Balto enjoys spending time in the hop fields.